We made good progress and soon we hit Tabo where we inquired about buying the Spitian apples as they were super delicious. People told us that we cannot get them as all the orchards are now under the control of contractors or agents and they export them directly. They asked us to come back by mid-September next year as by that time villagers have control over the crop and can give us at that time. Bargaining with contractors meant rocket high prices, so after asking one of them who quoted 4500 for 28 KGs we though coming back next year will be a better idea 😆 … The beauty was never lasting and every curve around I forced myself to stop and click but we had a mammoth task ahead of non-stop drive to Delhi which I never thought in my life 🙂 … By 11.00 AM we reached Sumdo ITBP checkpost where we registered our names again along with vehicle’s registration and bid adieus to Spiti Valley for the year 2011. 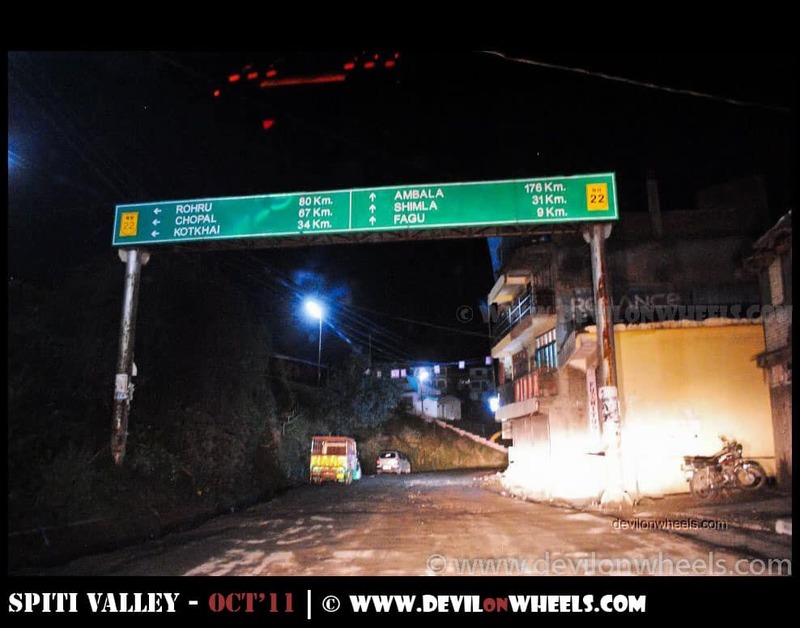 NH – 22 starts at Ambala and Hindustan – Tibet Highway starts at Shimla. NH – 22 and Hindustan – Tibet Highway are not aligned together for majority of the part except the common sections are only Shimla to Rampur, Wangtu to Tapri, and Puh (turn-off) to Khab (turn-off). 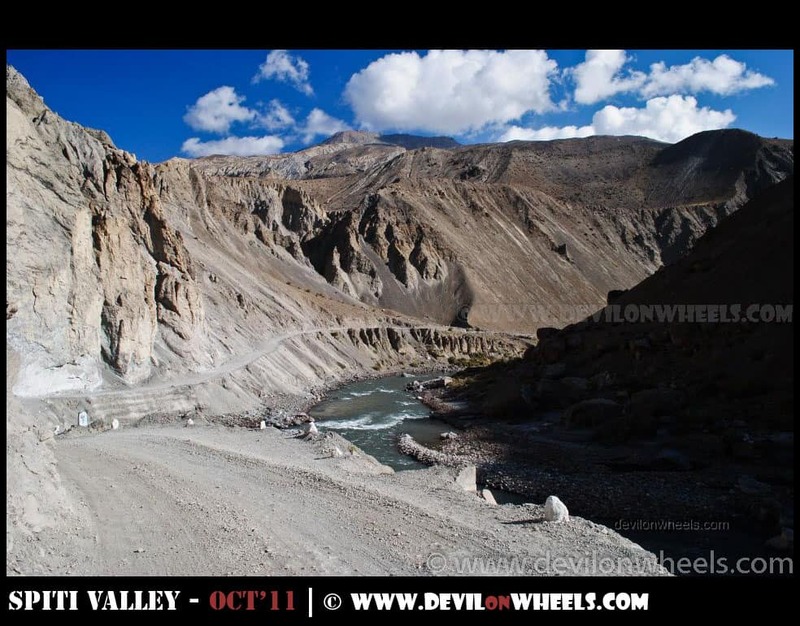 Hindustan – Tibet Highway, ends at Shipki La at least from Indian side. Uncertain, about its extent into Tibet. It is like Shimla-Narkanda-Rampur-Gaura-Sarahan-Nichar-Wangtu-Tapri-Urni-Roghi-Kalpa-Pangi-Jangi-Labrang-Puh-Khab-Namgya-Shipki La- Shipki Village (Tibet)- and may be beyond. NH – 22 ends at Kaurik (a village that do not exist any more) via Sumdo (From Sumdo the road to Tabo – Kaza is SH – 30) and then you can hike to Lepcha hamlet near the Indo – Tibet border if ITPB guys allow you to do so. By 12.15 PM, we crossed Nako village which was again a beautiful sight to cross, though of stopping by for the lunch but decided against it as none of us felt hungry at that time. We kept running almost alone on the road upto now with one or two bike / pick-ups here and there. Ka – Loops were again a pleasure to drive and we soon hit the Khab bridge without any trouble at all. We decided to buy some eatables from Puh General store but as we reached Puh we found it closed. Some highly influential person of Kinnaur region had passed-away that day in Reckong Peo and most things were closed including taxis to pay condolence to the great soul, as told by one of the locals. Nevertheless, we kept running and as we reached towards Akpa bridge after registering ourselves at Jangi ITBP post, the weather had started to turn harsh with dark clouds all over the place and extremely strong wind gushing through the roads. Ahh… Glad to find green color after long time.. The incident meant we need to keep running even in this bad weather and I obliged by maintain some good speed no matter how the road condition was. Petrol Pump at Powari was also closed but we had enough to reach Rampur where we eventually refueled. The drizzle became heavy as we reached Jeori where I gave a pain killer to my cousin Dhruv who was having severe pain in the ear and we bought some wafers and cold drinks to help us. It was dark but we finally reached Rampur at 7.45 PM after 12 Hrs of non-stop drive from Kaza. We were happy with the progress considering lot of photography breaks which we took in between. It meant we will reach Delhi after driving overnight by about 9 AM next day. This time we stopped at other HPTDC property, Bushahar Regency at Rampur for our dinner. Dinner was good that day or perhaps we were hungry too much, ate well, had a cup of tea and on the road we were by 9 PM. I couldn’t not fall asleep again and soon we encountered some rash strange vehicles running into us without speeding down, 3-4 headlights blinding us… Passed one, passed two, passed three and nothing was visible due to smoke they emitted. I realized that those were gypsies or participants of one of the major Himalayan rally which was about to start in few days. I perhaps thought I was wrong in admiring these chaps. 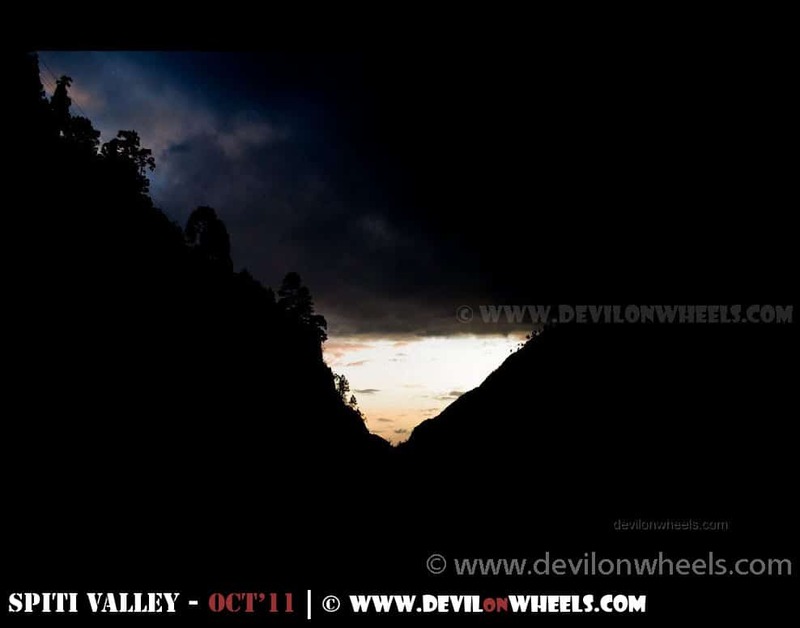 (I wrote a detailed account on such spoiling sport here at: Motor Rallies | A Gimmick, Cursing Himalayan Nature) … Anyhow, after the smoke settled we moved after offering some helping verbs for them. 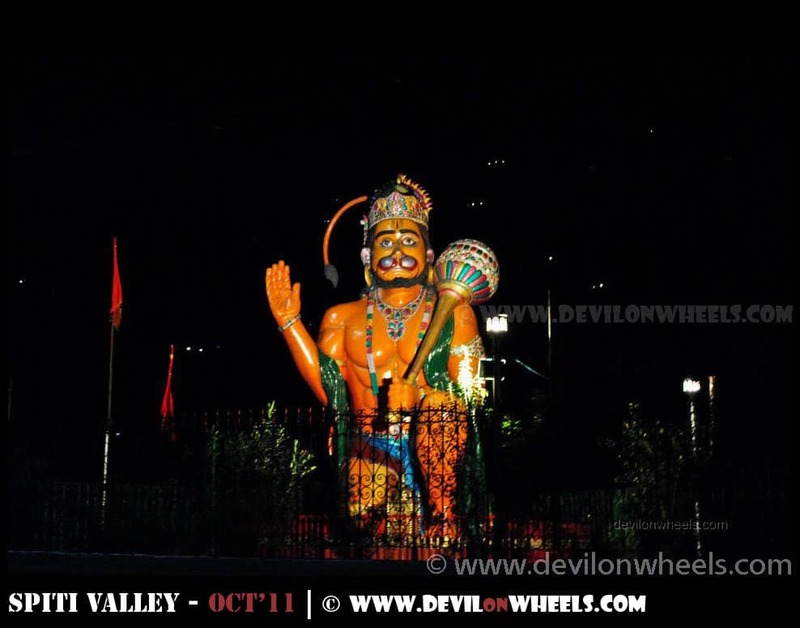 The drive was pretty easy and soon we crossed Kalka, Zirakpur, Ambala to join NH –1 leading all the way to New Delhi. Our last stop of the trip was our usual, Neelkanth Resorts and Restaurant right after Karnal, 10-15 minutes after passing Savoy Greens. We reached there at 5.30 AM types and had a good, tasty breakfast. We started ahead towards home and after a drive for 15-20 odd KMs getting back to main road from one of the many diversions went tricky at high speed due to which I bumped the rear left wheel into a pot hole. Result was flat tyre and moreover a bent wheel rim 😯 … Thank god axle didn’t broke as the pot hole was deep and car was around 90 KMPH when it bumped into it. At first I though ale has all gone for money but god was with us. In a matter of few minutes there were three more cars getting down in similar fashion. I guess it was a known trouble point because within 5 minutes each car was offered helped by some locals for changing the tyre or getting new one etc etc. :cry:… But for us, it was moment of frustration and matter of changing the spare tyre 🙂 … I was disappointed as I could have saved it by driving slow or not taking last second shift from the diversion. But, nevertheless it had to happen, so it did. As we reached, Delhi Border at 8.00 AM types I was feeling too much sleepy and asked Neeraj again to drive us home from there. 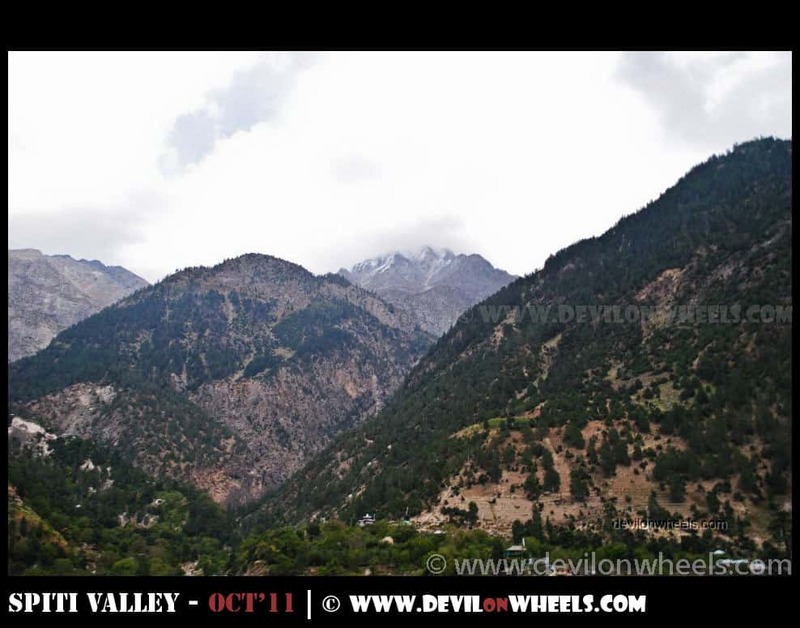 Finally, we all reached back home after 1.30 Hrs of traffic loaded driving within Delhi and eventually the dream non-stop 26 Hrs drive from Kaza – Kinnaur Valley – Delhi was a reality for me and my friends. End of this travel tale!!! We are 4 frinds and 2 bikes. We are planning to spiti valley from 1 july via shimla route we have 7 days in hand kindly give me best route plan and halt in this route in 7 days. Bsnl prelaid working or pospaid working in this route. Daleep, 7 days from Shimla side will be hectic. Best will be to do it from Manali side only. Brother I am planning to visit Kaza cia the Rekong Peo route, is there any special permit required? Also any check post which have formalities to be done? Also can a diesel Verna easily go and how are the road conditions? 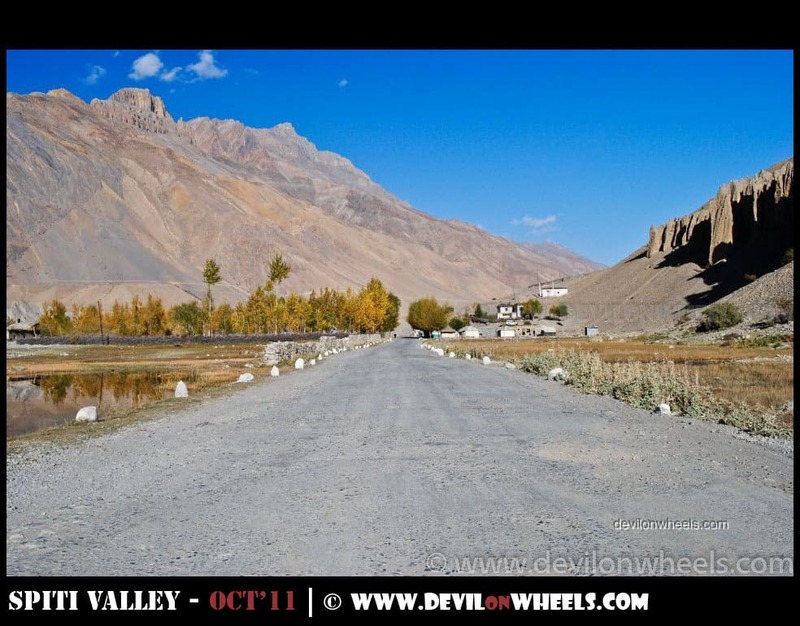 Please help me to plan my trip to Lahul and spiti valley from Manali. 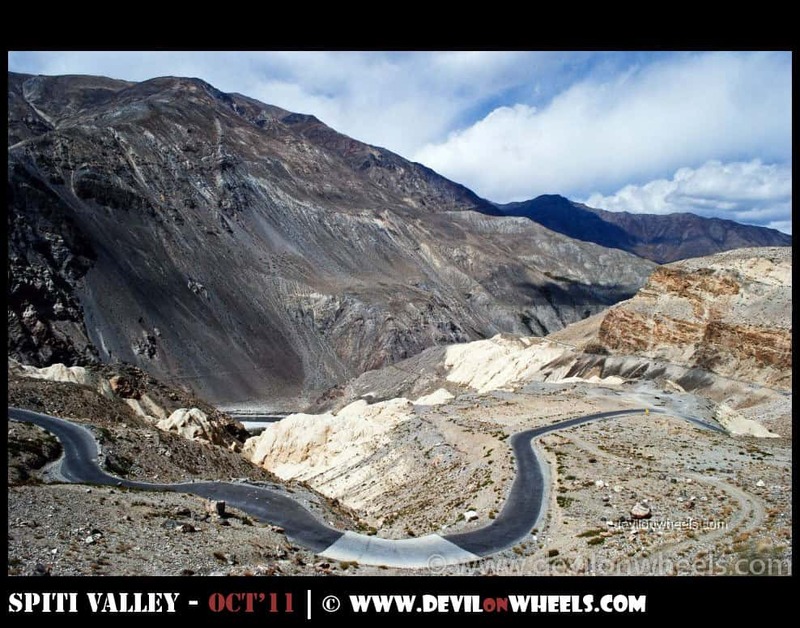 My trip will be Manali – Lahul and Spiti – Manali. 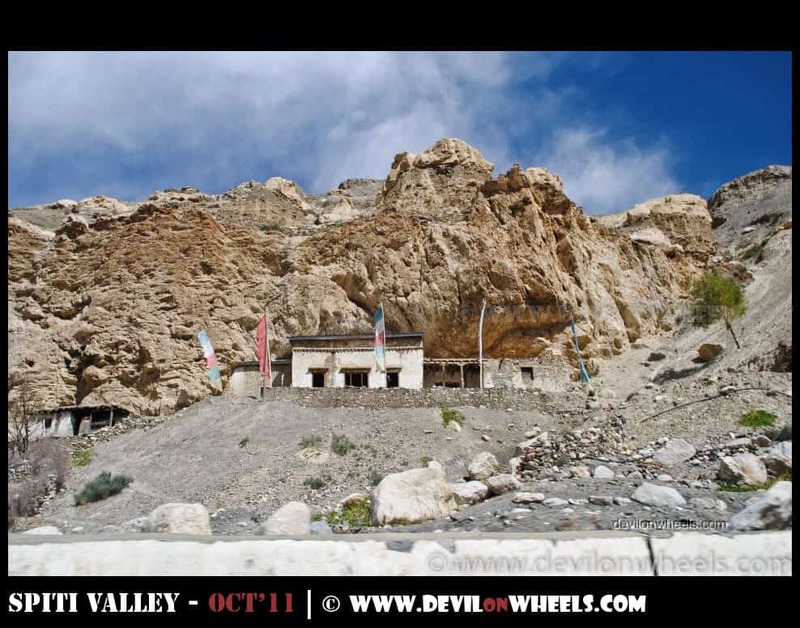 On my last trip to Leh ladakh from Manali I had a stay at keylong (Visited Drupka Kardang Monastery). Had stayed at Khoksar (wouldnt mind again better than keylong if required for acclimitazation). I want to cover Chadratal lake too. Please suggest best possible itinary for 6-7 days. Or is it possible in 5 days also? One Doubt: Covering this trip will mean covering Lahul and spiti Valley? Prakhar, 6-7 days are quite less to make a trip to Spiti Valley and you want to do Lahaul as well 🙁 … Are these days from Manali or Delhi? Sorry for this question 🙁 what comes under spiti and what comes under Lahul ?? and if i have a option to cover one of this then which one should I choose ?? or I can cover one complete and one major destination of other .. 6-7 days is from Manali .. 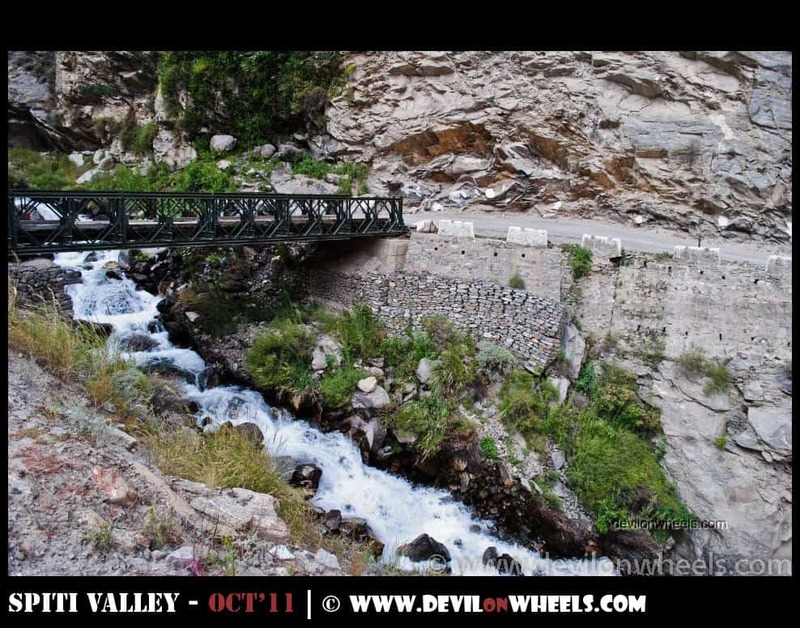 I want to keep trip little under budget so Manali – Spiti or lahul – Manali .. 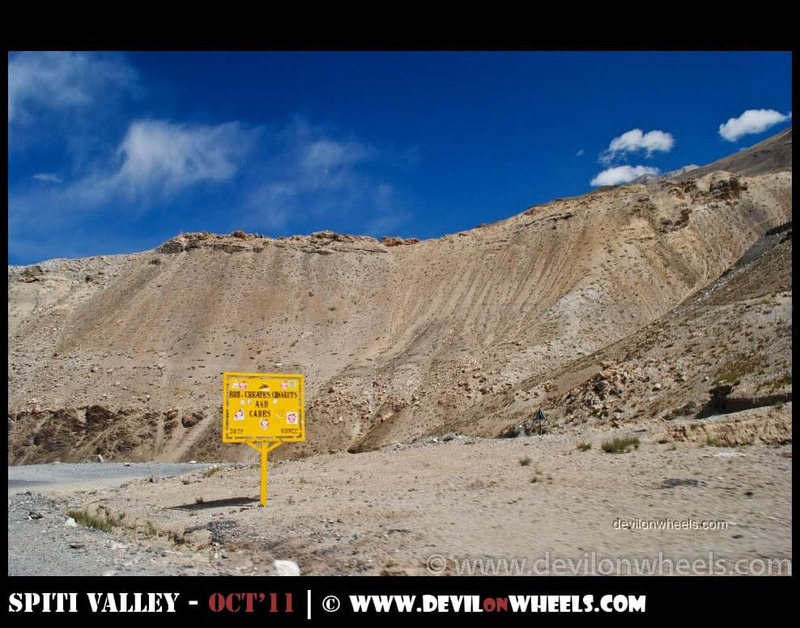 I dont want to full circuit from shimla – lahul spiti -manali. 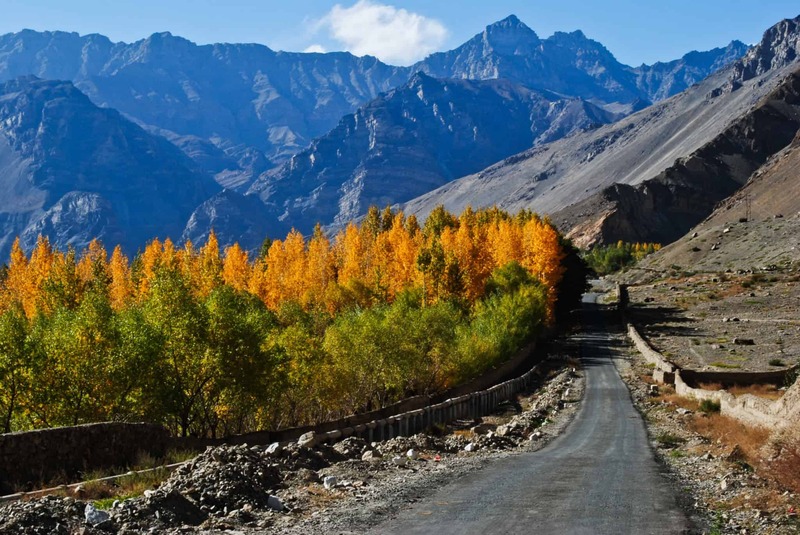 Spiti is altogether a different region and need about 5-6 days ex Manali at least to explore something out of it. It has places like Kaza, Tabo, Chandratal, Ki, Kibber, etc.. Lahaul is on the north-west side of Spiti that comes from Manali – Rohtang Pass – Khoksar – Keylong – Udaipur, Jispa, Darcha, etc..
My friends and I (6 of us) were planning to head to Lahaul/Spiti from oct 2-6 starting from Delhi. Can you please suggest an itinerary that would include camping at a nice spot and a place where we can relax and chill and enjoy nature? Well, it is not the time to camp as winter has set in at higher reaches and cold wind blows you away at night. I am just back from Spiti lat night. 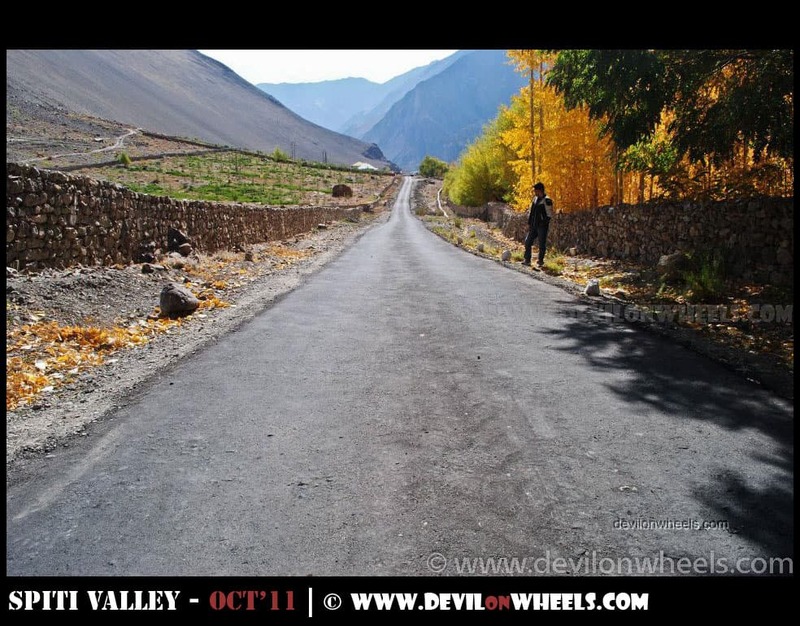 Also, just 5 days are not good enough for a tour to Spiti Valley. 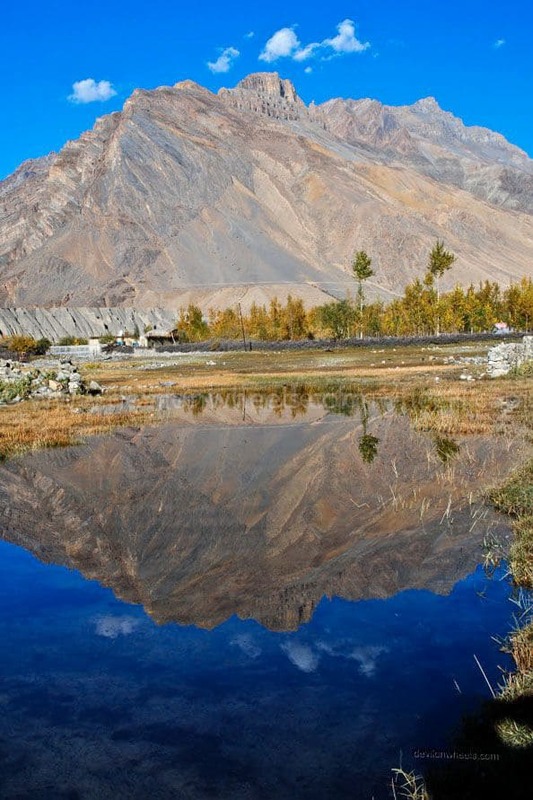 Try to focus on Lahaul only with visit to Jispa, Keylong and then couple of days in Manali. thanks for all the information. can you please also help me on planning a trip to spiti in the month of june. how many days would it take, going via shimla and coming via rohtang and also the stay options and how many days would it take to complete the journey. 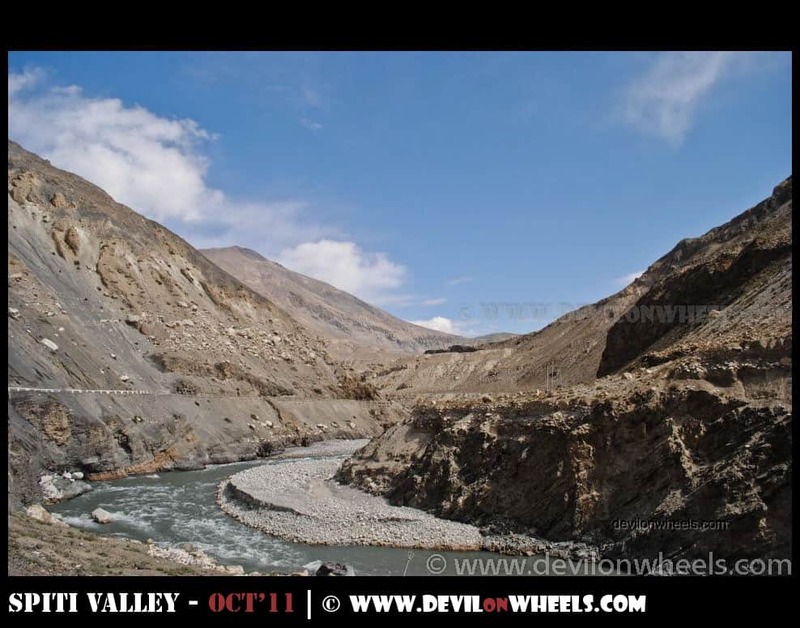 It is one of the most comfortable itineraries of Spiti Valley covering majority of its parts. Thanks for the link. it was really helpful. however, i would need some additional info about the trip. 1) is it possible to complete the whole journey in 7-8 days against the normal 11-12 days prescribed by you? 2) will outside taxi no car be allowed to visit all the areas or its better to take a private car? 3) if a hatchback is ok for the journey or SUV the better option? 1. Possible but difficult. You can cut Day 2 and head to Kalpa that day. Day 8 I have removed from the itinerary, so you can do so as well. 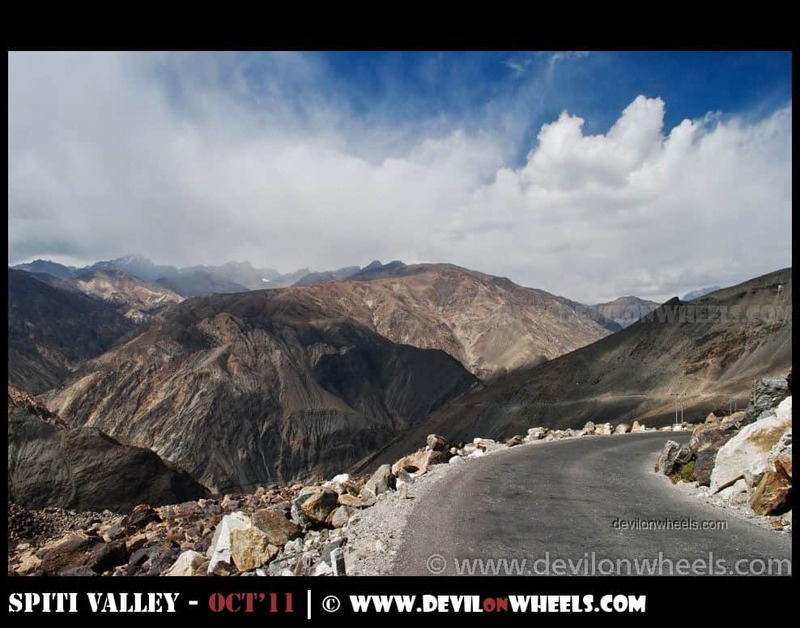 If you want in 7 days then either drop dhankar or Pin Valley to merge Day 5 and 6 together. 2. It will be allowed, no restriction in Spiti Valley. 3. SUV anyday will be great Savior. 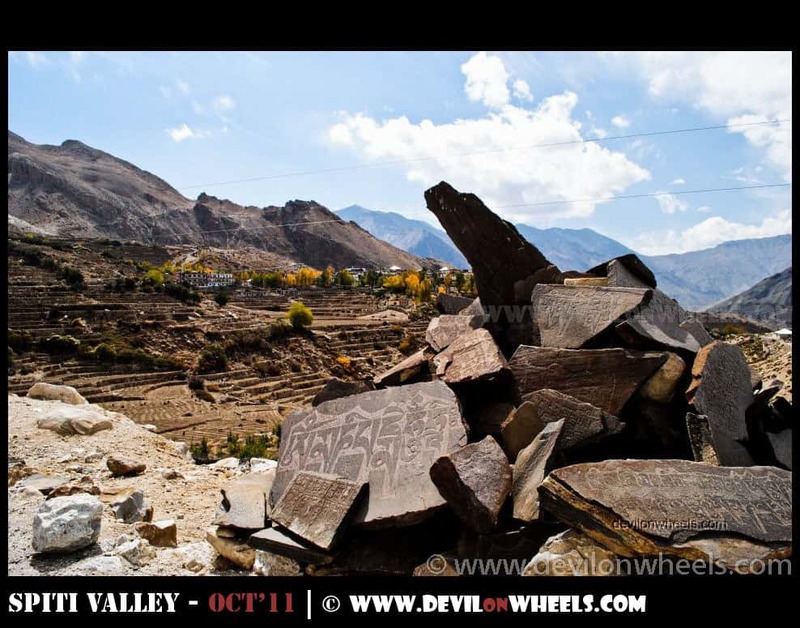 Kindly help me with my Ladakh Itinerary.The comment is dated February 14,2013 at 7.35 am. Thanks! Is Spiti Valley doable during 25’th March and 2’nd April? Can you please give us a few tips? In any case, I would want you to stay one more day before in Leh on second day but since you say that acclimatization will not be an issue so did not change much of an itinerary. Still, I will suggest, if possible add one day there in Leh and move to Nubra Valley third day. May be take out the 30th June rest day at Manali and use that in Leh for second day. Also, given above schedule Spiti Valley will not be possible but like I suggested Chandratal could be visited. 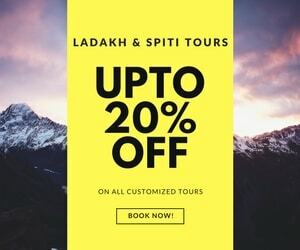 Thanks so much for your advice!If we skip Tso Moriri, do u think we have enough time for Spiti Valley?What will be the route u would recommend?We heard that we need Inner Line Permit to go Spiti and Kaza area.Where should we apply for the permit?If don’t go Spiti Valley,what area do u recommend for travelling after Tso Moriri?Thanks again! 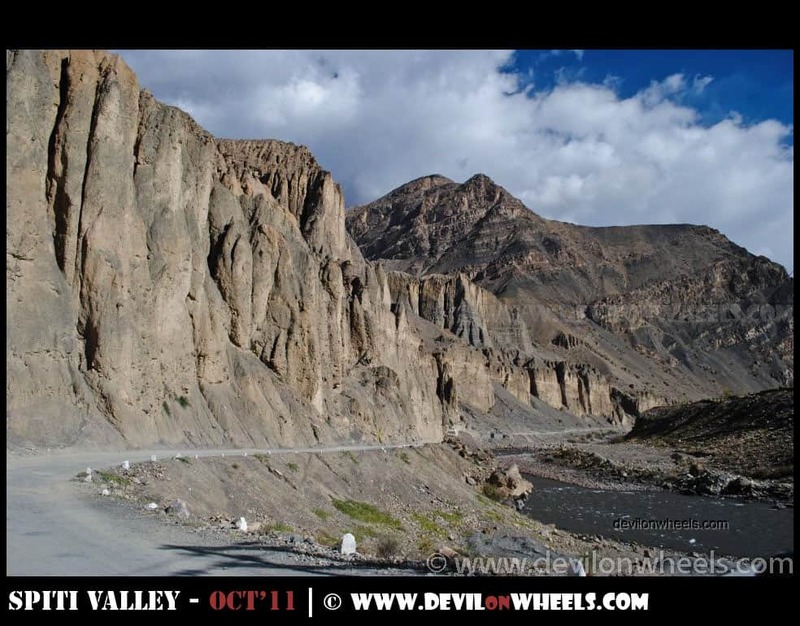 Spiti Valley, will need at least 3-4 days easily if not more to explore it at some level otherwise a dedicated trip to it. Foreigners do need permit for Spiti Valley called Inner Line Permit. Indians only require to carry a valid photo identity card but no permit required for them. 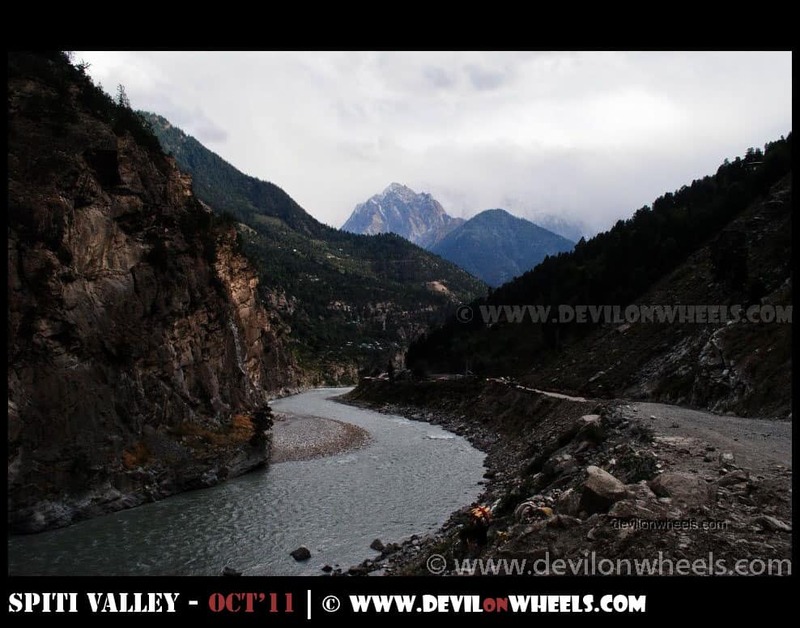 You can get the complete details on Inner Line Permits for Kinnaur and Spiti Valley at the link here. After Tso Moriri follow the itinerary as I suggested, at least you can visit Chandratal as mentioned above. 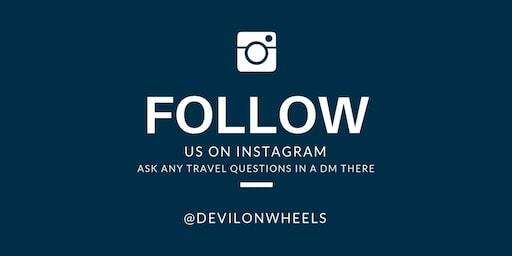 Let me know in case you have any queries or doubts. Though it is doable but will not recommend because it will be too cold up there. 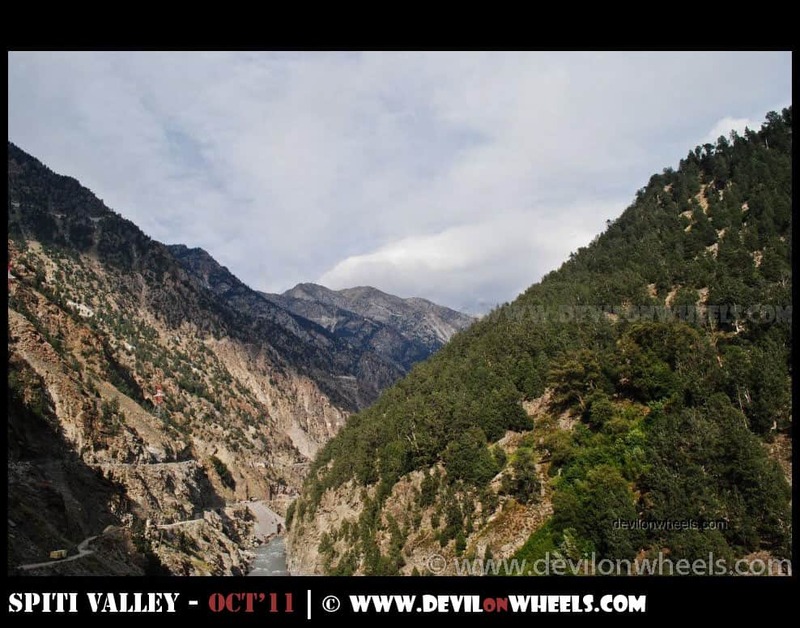 I will suggest you first travel upto Kinnaur Valley and then see if it can be extended to Spiti Valley or not or perhaps cover a major portion of Kinnaur only in the 8 days you have in hand. Let me know if it sound good, I will suggest the plan for you. Thanks for your advice!Most probably I shall follow your suggested itinerary after Tso Moriri. 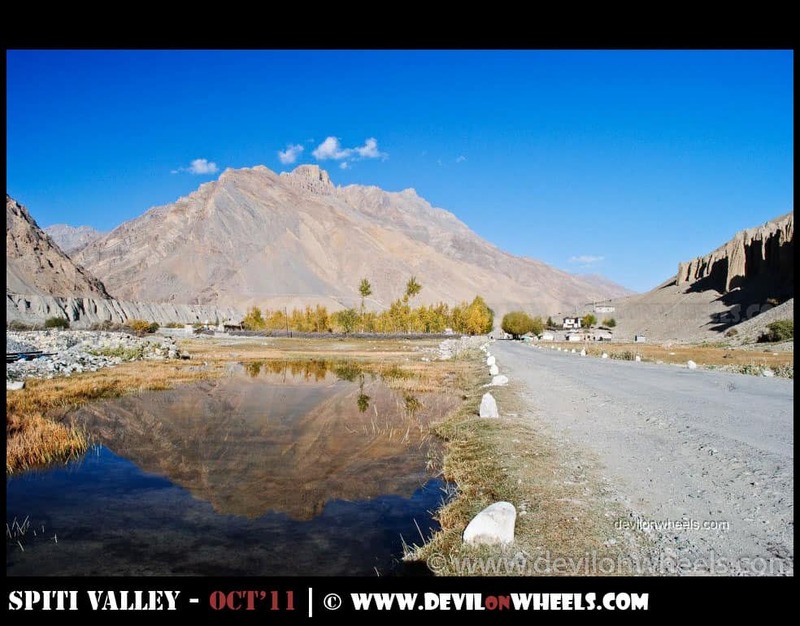 May I know is there any place nice nearby Chilling?Heard that Zanskar Valley got more to explore…Thanks! Thnx man… is it doable in sx4 or sme SUV is required????? I have done the circuit in my dZire, so very much possible in SX4 too. just drive with caution and as I said start late in the day so that black ice on road gets melted. Try carrying a shovel with you, just in worst case you find some ice and want to get rid of it. 2-Jul-13 Depart for 7 am flight to Calcutta. Please help and we would appreciate it so much!Thanks!! What he can do is, he can go towards Suru and Zanskar Valley. Both days will be very much long n 26 as well as 28. Thanks.My friend will be coming from Srinager to Leh before joining us for Lamayuru trek.So, he won’t plan to go back Srinager. Kindly advise how he may continue trip in Zanskar Valley after Lamayuru trekking without going to Srinager.Kindly help and thanks so much! The dates are not so friendly in that case. Your trek is finishing at Chilling and he will have to back track all the way to Kargil first. Once in Kargil he can go to Padum and then back to Leh. finally, take flight back to Delhi. 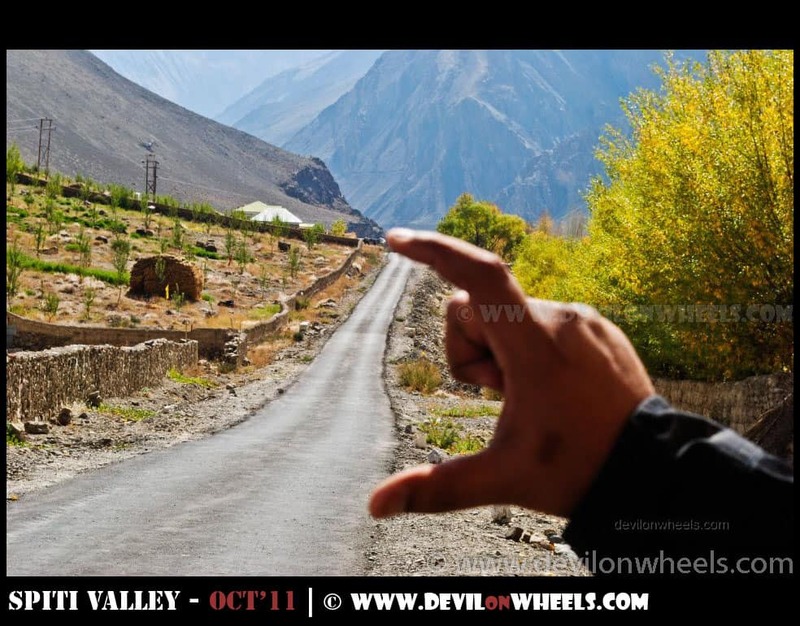 But doing this way he will missout on road journey to Manali – Leh highway. My advice would be like below if he is interested in Zanskar Valley. 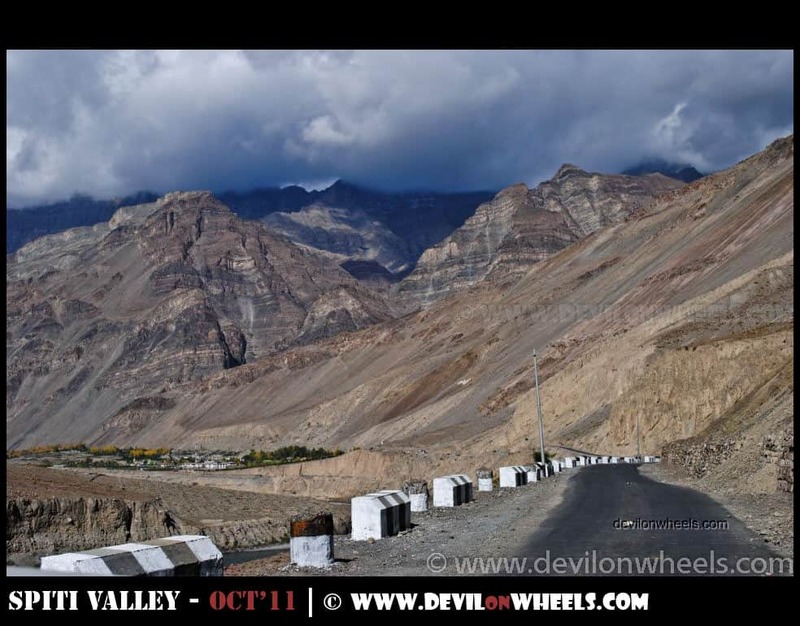 Otherwise, better option would be to do Dha Hanu villages as two day trip from Alchi/Leh and then use Manali – Leh Highway to reach Delhi order to cover that adventure. Thanks for your valuable advice.Are the 2 options given by u all using private transport or by trekking?Will it be possible to use bus from Leh?Thanks! Thanks for your valuable tips and suggestion!Is there no short cut from Padum to Manali road?Must go Padum Kargil,Leh then Manali? Nopes, you cannot go to Manali from Padum. There is only a trek that goes from Padum to Darcha and from there you go to Manali by Taxi. It is usually 4-5 days trek. 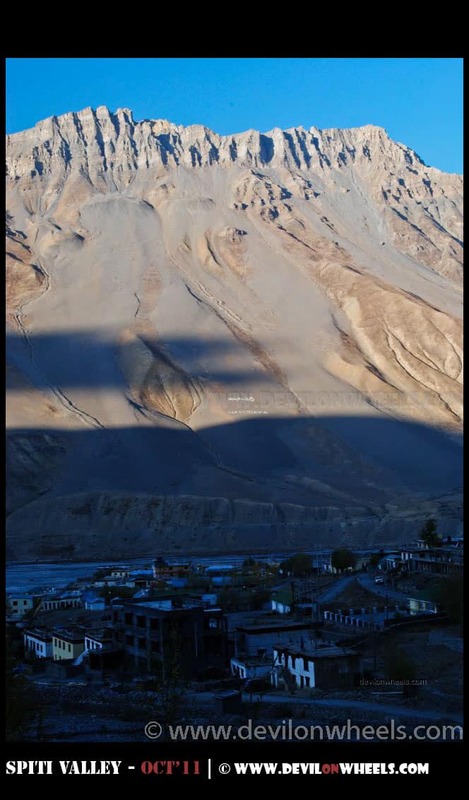 Thanks for your good tips on LADAKH trip again.Your response to question here is quick and helpful and even better than Indian Mike Forum where question may hang there for months without anybody helping out….With your help,tourist will have more confidence with his/her travel plan to Ladakh. Thanks again! Sorry, with reference to my comment to you yesterday,please be informed that my friend,who is a China national, won’t be able to get permit to Tso Moriri too, where would u recommend him to go after finishing the trekking from Lamayuru to Chilling?Thanks for helping! Kwuck, sorry I will reply you tomorrow in detail. I am stuck somewhere and on the move. Guess, I catered this query as well in the previous reply. Let me know if you need more info. or have any doubt. am planing to visit spiti(kaza and losar if possible) in january end 2013. Is it doable in sx4 in january or early feb? Bhaskar, Losar would be closed, highly likely. Kaza can be done but do not keep any urgent or important plans because in case of heavy snowfall the Highway can get closed for a couple of days. Also, start the day in late hours when sun is completely up so that you do not get ice on roads.